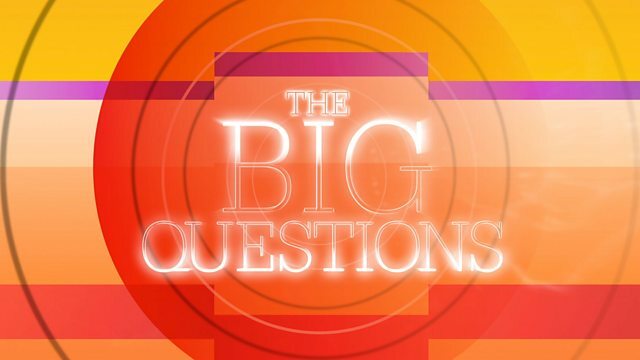 Nicky Campbell presents the Big Questions live from Hutchesons' Grammar School in Glasgow. The guests and audience debate whether Scotland is still owed a say over Brexit. Triggering Brexit - who should get a say? Today we're live from Hutchesons' Grammar School in Glasgow. Welcome, everybody, to The Big Questions. 50 before formal negotiations can begin with the European Union. And this year, 62% in Scotland voted to stay in the EU and 38% to leave. Scotland to meet Nicola Sturgeon. They are meeting tomorrow as well. second, I can hardly hold you back. Guy Standing, you wanted to come in? hope that they will all stand up and vote against going for Article 50. Scotland should have a say in the Brexit vote. What does a say mean? It's about power. You referred to both David Cameron and Theresa May. state objects or votes no, for instance, it doesn't go through. but who is up for that, here? Do you think it would go through? and the Supreme Court judgment of Scotland being excluded? 50 has to be in accordance with the country's constitutional procedures. Parliament was at least in theory in position to stop that deal. truth is that neither side in this debate is in a comfortable position. of an embarrassment given the arguments were used in the campaign. nationalist movement in Scotland is not united on the issue of Brexit. divided as a result of Brexit. Interesting. What a brain! reapply. It will have to reapply after Turkey and goodness knows who. We have a 7 billion deficit thanks to the SNP. Wait, what do you mean? the issues, it says all power will be invested in the Prime Minister. accept the democratic will of the majority? We voted as Great Britain. Did the referendum say, we want to be in or out of the single market? everyone a basic income? Basic income, how would this work? and that is to be decided by Parliament, as a right. on, going back a long way. There is a strong philosophical tradition. it. OK, let me rephrase that? Who doesn't like it? biggest things. That stress people are in, it is crippling our society. Unhappy stressful society. Taking it back to the guy in the grey T-shirt. somewhere else for another idea. Do you like this idea? organisation which does a tea run every Thursday night in Glasgow. estimated costs I was looking at earlier. How would you pay for that? government says it is lowering it to 17%. We may become a tax haven. everybody turning up on our door stop, you know that and I know that. few years. I'm rather liberal when it comes to matters of immigration. was all about, very intriguing. Strong arguments on both sides. Or you can tweet using the hashtag #bbctbq. Tell us what you think about our last Big Question too. Should today's generation make amends for slavery? drowned in the Caribbean by British sailors aboard the slave ship, Zong. with metal balls and cast into the deep. reparations for running a slave colony on the island for 200 years. London, Bristol and Liverpool did too. kind of misery is etched in the Stones? contributions to the transatlantic slavery and placement of Africans. estimate absolutely. Even the debates we have had already today. think there is still a lot of... Michael. It was a global thing. apologised to everyone living in the 18th century? This is ridiculous. appalling. I do not believe in this transfer of moral sponsor political. about... It is a moral issue and part of it. David Coburn, the shame? condones it. We can understand people for inferring it does. do not see anything wrong with it, what was going on in their mind? countries that openly sanction having slavery. that clarification. We have to leave it there. As always, the debates will continue online and on Twitter. Next week, we're in Southampton, so do join us then. But for now, it's goodbye from Glasgow and have a great Sunday. Is Scotland still owed a say over Brexit? Should the state give everyone a basic income? And should today's generation make amends for slavery?